This Wiki contains the complete and expanded 2013 catalogue and information about the Deepeeka Armoury products. 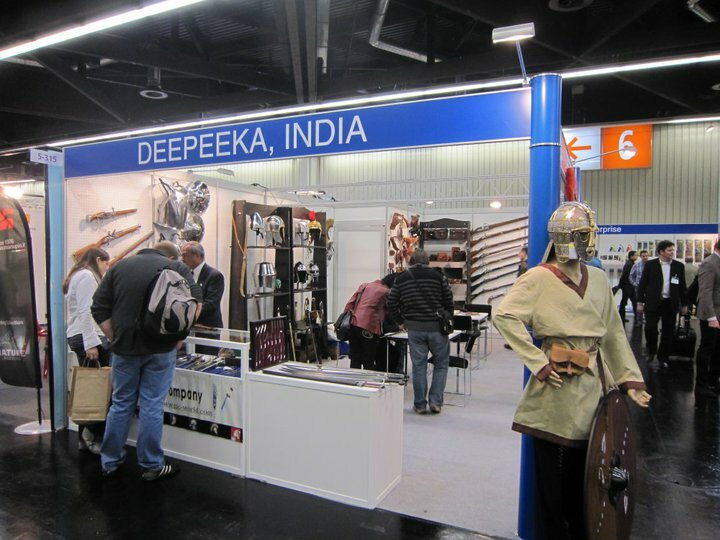 Deepeeka is the oldest Indian manufacturer and exporter of quality reenactment arms and armour, and one of the leading manufacturers and wholesalers of hunting kits and accessories, historical and contempory furniture, replica military goods and associated giftware. Working closely with museum curators, historical researchers and developers,and the finest skilled artisans, the emphasis has always been on creating high quality replicas as historically accurate as possible, combining traditional patterns with modern materials to match the legacy of the original masterpieces. 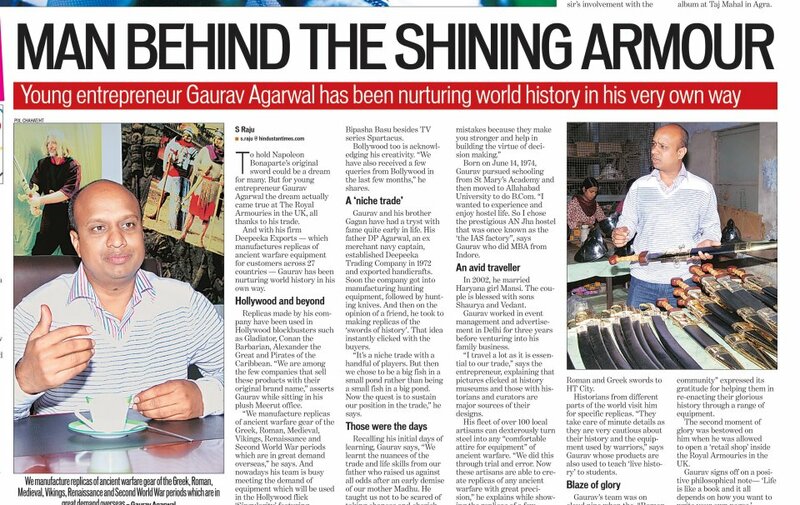 Deepeeka Exports has been a family owned and operated business for over forty years, and is now run by the third generation of the Agarwal family. The 2013 catalogue is a tribute to the late father and founder of Deepeeka, Captain Dhirendra P. “Aggie” Agarwal, who dedicated his life to bring to the world a whole new range of affordable and high quality arms and armour. Deepeeka- one of the leading manufacturers and wholesalers of hunting kits and accessories, historical and contempory furniture, replica military goods and associated giftware. Deepeeka now in its 3rd generation, spreading over 3 decades is a family owned business. 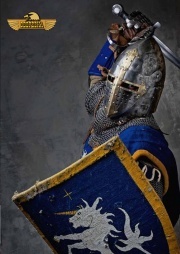 We are the oldest Indian manufacturers and exporters of quality reenactment arms and armour. We work closely with museum curators and our distributors to present before you perfect masterprices of armoury. Deepeeka revives the ancient art of weaponry and brings you an exclusive collection of replica weapons and armours of the bygone era. The emphasis is to create high qiuality replicas as historically accurate as possible, by maintaining their distinct features, as close to the roiginals as possible. The products are developed and made by highy skilled craftsmen using age-old techniques. This page was last modified on 7 June 2014, at 08:46. This page has been accessed 95,082 times.